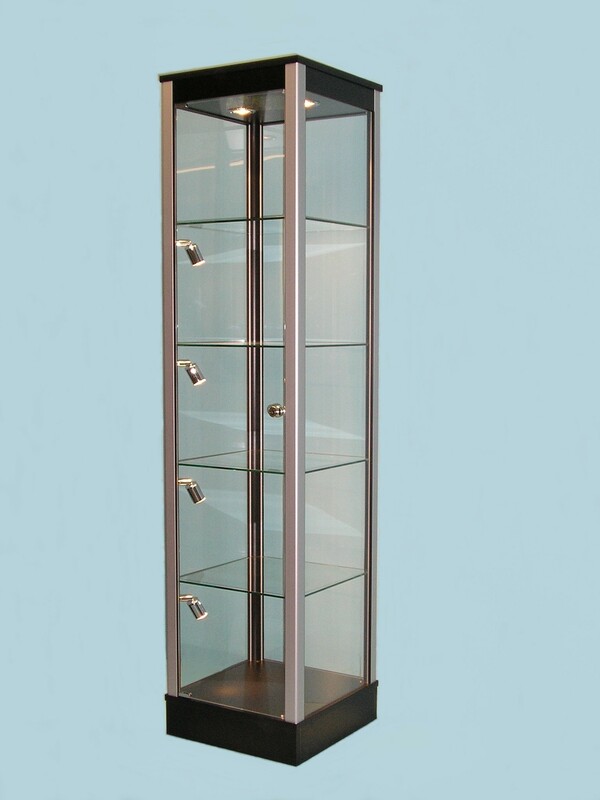 For taking centre stage these strong freestanding Tower Glass Display Cabinets look elegant from any angle and offer superb viewing from all round. 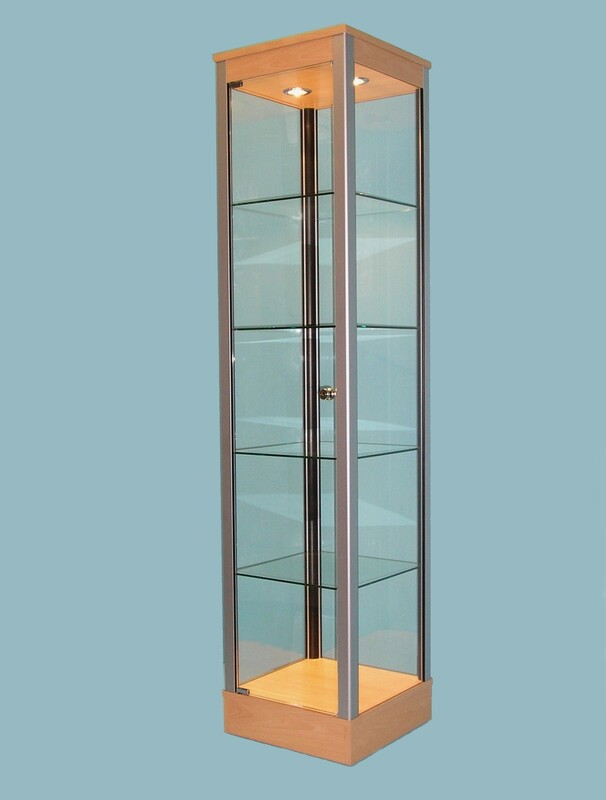 Ideal for creating a central focus or placing up against a wall with a mirrored back these classy tower cabinets will enhance any collection. With toughened safety glass shelves supported directly by our DesignEx corner post system capable of supporting huge loads it would be unlikely you had anything too heavy for these cabinets as we always calculate the actual shelf loading and can increase it further by fitting thicker glass shelves to meet the rigorous demands of even the most demanding challenges. As these cabinets are all built to order you can simply choose to change the specification to suit your needs with benefits such as the number of glass shelves and how they are spaced, additional lighting or a change to the dimensions, you can create your own cabinet with the confidence that it will be stunningly beautiful and highly practical.